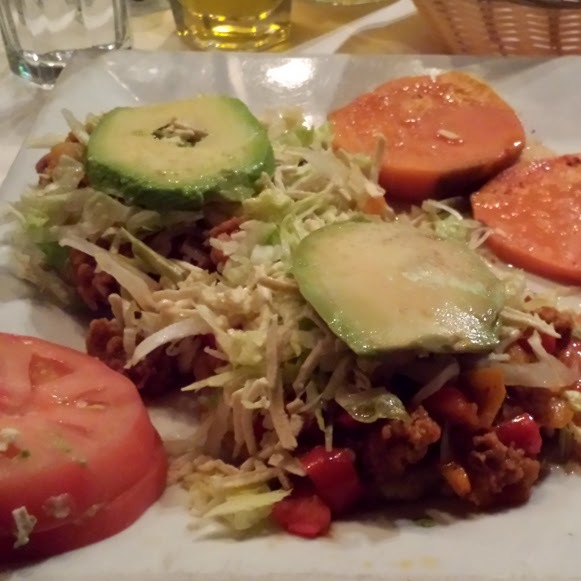 guest post #3 : three unexpected places + el nuevo mexicano. going deeper ... more details from our vegan pal, vikki otero. In my previous posts (#1 & #2), I talked about the struggles of simply trying to get into contact with the right person to speak with me about "veganizing" a restaurant’s menu. As I continued my exercise in futility, it occurred to me that perhaps I should ask some people who have done it. I’m not talking about Karyn’s or The Chicago Diner – I’m not looking for places that are already committed to the vegan mission – I want to transform places that are unlikely. Who better to advise me on this process than the very unlikely places where I eat many of my excellent vegan meals? In the end, I didn’t learn much about how to reach people that weren’t necessarily ready to be reached, but I did learn that I was right that expanding vegan is a good business decision, and that it doesn’t take a personal connection to make a great vegan menu. This post and the next two all focus on places where vegans can have a great meal and how they became vegan friendly. El Nuevo Mexicano, on Clark and Oakdale in Lakeview, serves modern Mexican fare. My partner and I landed there quite by accident a couple of years ago. We can usually feed me at a Mexican restaurant as long as their beans are vegetarian, so one hungry day we popped in for dinner. We were surprised and delighted to find that I did not have to cobble together a bean-rice-guacamole something because El Nuevo Mexicano had multiple actual vegan options. They use Upton’s Naturals seitan chorizo, Daiya cheese, and, of course, lots of veggies. I believe they had three vegan options when we first went there; last time I was there a few weeks ago, they had eight. 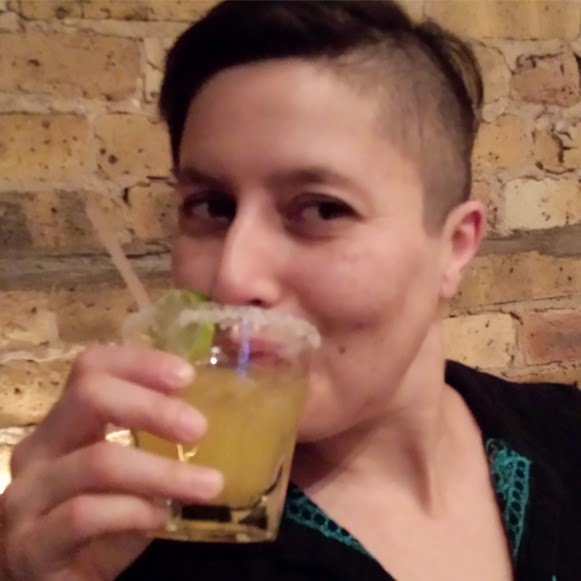 I interviewed El Nuevo Mexicano’s owner, Maria Rodriguez, via e-mail. They had always had vegetarian options on their menu, but Maria began to notice that vegans did not have any options. Fellow vegans know the drill – when you’re done taking off and subbing for all the stuff you can’t eat, all too often you end up with a pile of lettuce and salsa on a corn chip. As it happened, though, Maria came into contact with the Mercy For Animals organization and learned about Upton’s seitan products and Daiya cheese. She realized that she could make options for vegans that would be just as robust and delicious as anything on their menu. Now, their rotating menu contains eight to ten vegan options at any given time. Vegan dishes at El Nuevo Mexicano incorporate their delicious homemade moles and salsas and include flautas, chimichangas, and enchiladas. I’ve had them all. They’re delicious. The margaritas are excellent, too! vikki enjoying a mango margarita ... mmm. Maria echoed what I’d hoped to tell other restaurants that I wanted to encourage to veganize: it can only help your business, because vegans will actively go there – and bring friends – if they know there are a variety of dishes that everyone can enjoy.